Polishes used for floors, furniture and shoes can be supplied in solid form. These are an emulsion of water with waxes such as paraffin wax, beeswax or carnauba wax, plus other additives such as coloring, stabilizers and surfactants. Wax is weighed into the vessel and heated to melting point, between 120 - 185°F (50 - 85ºC) depending on type. 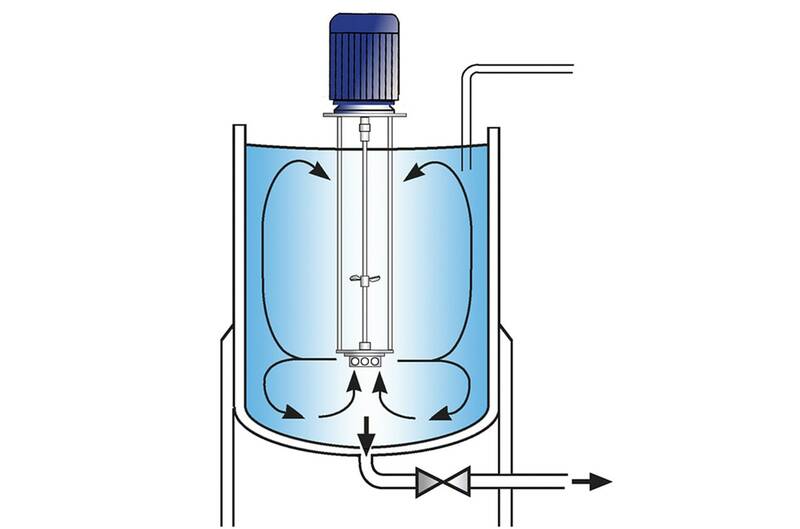 Water is charged into a separate vessel and heated to aid dispersion of additives. Surfactants, stabilizers and coloring are added to the aqueous phase and mixed until fully dispersed. The hot water phase is added to the molten wax and mixed to form an emulsion. The product is then cooled to just above the set point and is then poured or pumped into molds or tins as required. The polish solidifies with further cooling. Heating of both phases is time consuming and results in a high energy requirement. Addition of water to the wax has to be carried out in a controlled manner, again requiring extended processing times. Temperature has to be controlled to prevent the wax from solidifying before the water is fully emulsified. The emulsion formed is not stable and requires additives to ensure the phases remain emulsified and that other additives remain in solution/suspension. Cooling of the product before pouring into molds further increases the process time. This has to be controlled to prevent the polish cracking or subsiding in the tin. 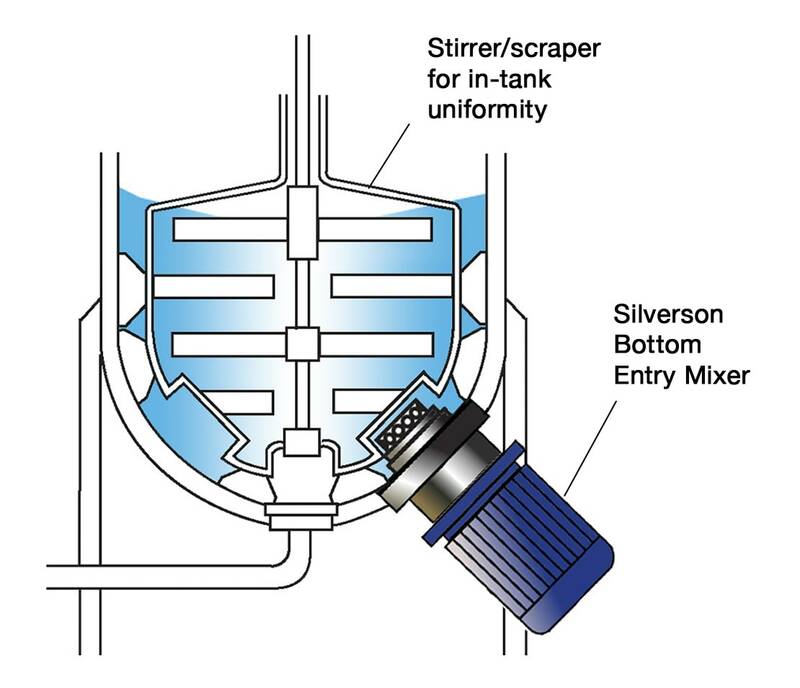 Intermediate stages of production can be eliminated, product quality and consistency improved and processing times dramatically reduced by using a Silverson High Shear mixer. The wax is melted in the processing vessel and the mixer is started. Other ingredients such as surfactants and coloring are added to the vessel. The high speed rotation of the rotor blades creates a powerful suction which draws the molten wax and other ingredients into the workhead. The materials are subjected to intense shear within the workhead and rapidly become fully dispersed. The product is then forced out through the stator and driven back into the body of the mix. Fresh material is continuously drawn into the workhead, creating a powerful action within the vessel. Water is then added to the product and rapidly emulsified with the wax. Heating of the water is not necessary. This has the additional effect of cooling the product, reducing processing time further. 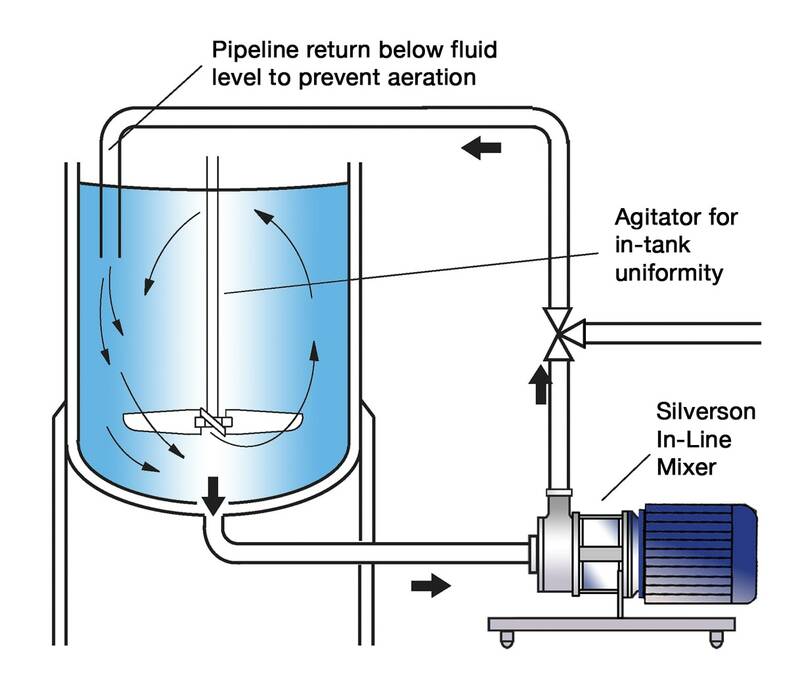 The action of the Silverson mixer is sufficient to maintain movement within the vessel. The product can be made using cold water. Reduced need for emulsifiers and stabilizers, simplifying the product formula and reducing raw material costs. The process can be carried out in a single vessel. Heating requirement, production costs and process times are dramatically reduced. Increased product quality and repeatability.